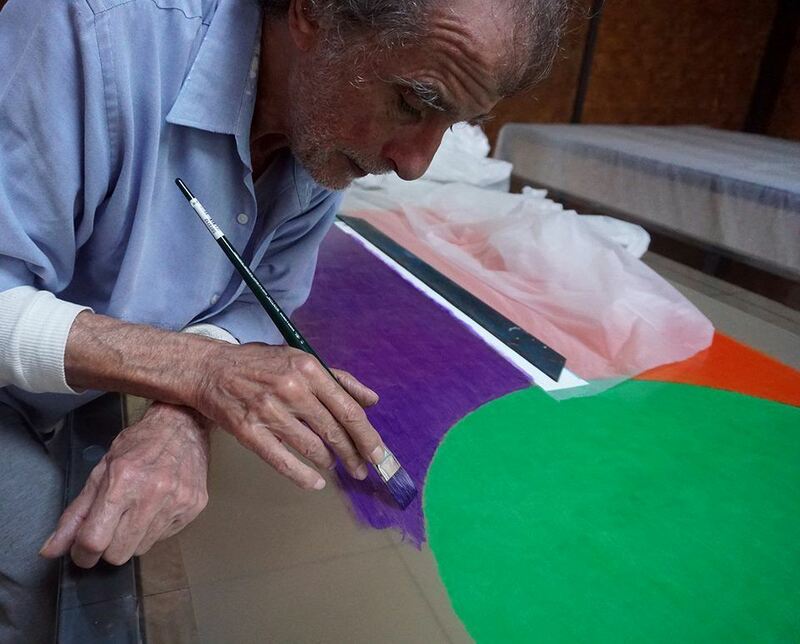 It is being implemented in the city of Rio de Janeiro the public art project "In Vitro Rio - Mario Fraga", where the artist returned to painting inside large laminated glass. It is a pictorial installation of the painter and architect Mario Fraga, formed by 40 laminated glass modules 3,20 meters long and 1,20 width of each piece. Mario Fraga works with painting and unconventional materials and has works in public spaces, collections and galleries. She has participated in numerous solo and group exhibitions in Brazil and abroad. Since 1989, the artist is dedicated to research In Vitro, technique developed in partnership with Pilkington Brazil (blindex) and now with the Stained Glass company. Bringing art and technology, the work will be installed in public spaces in Rio de Janeiro in 2019. The set designs within a winding prospect of juxtaposed paintings. The paper proposes a space look integrating the architecture of the place, a range of transparencies, reflexes and overlapping colors, nuances that create atmospheres in traffic environments, where the coming and going of people interacting with the kinetics of work, turning in space and time, colors and shapes. Other works with the technique of hand-painted laminated glass were exhibited at MAM in Rio 1991, and 1992, at MASP. There are works in public places, as hotel AFPESP, in Guaruja, on Ipanema Forum Gallery, in Rio de Janeiro, and, since 2002, in Anhangabaú Station, in São Paulo, when the artist was part of the project Art in the Subway. Approved the Law Rouanet through the Special Secretariat of Culture and the Ministry of Citizenship, the project proposes to provide the public an open and participatory art, where visitors integrate the work.